Hello everyone! We hope you’re staying warm in these cold temps! Tomorrow is supposed to warm up again, so today is the perfect day to pick your new puppy out! We have so many little guys and girls who are so deserving of an awesome family like you. And with all the sweetness and good personalities we’re surrounded with right now, we just know these pups will make you all so happy! The new puppies we have this week, though there aren’t many of them, add tons more adorableness to the mix here at Ridgewood this week! All five of the babies below are going to add so much happiness to their future families! Ridgewood puppies go home with our lifetime warranty and their shots completed. We’re open seven days a week in both locations and you’re welcome to visit anytime! 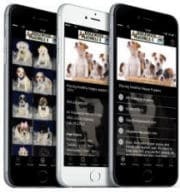 We are 5 Star Rated in the ACA’s 5 Star Breeder Program and are happy to go over our policies with you or any questions you may have about after you take the puppy home. Be sure to check out our brand new website too, with training articles, indvidual pages on each puppy and a page that explains why we are just as against the puppy mills as the rest of you! If you see someone you like this week, or have an older puppy you’ve been keeping an eye on, don’t wait! Stop in or give us a call today because you deserve some puppy love in your life just like they deserve an awesome family! Enjoy the new babies below! This week, Ridgewood welcomes Rhett, Chicken, Partridge, Swan & Margo! First up for this week, Rhett is here to greet you with that perfect, cartoon face of his. We seriously want to squeeze this little guy like he’s a stuffed animal. Like we start turning into Elmyra around him… “I’m gonna hug you and kiss you and love you…” He’s just too cute. And he knows it! The silly, sweet personality on this little boy is too much! Rhett is a Shichon, half Shih Tzu and half Bichon. This is a great breed for children or first time pet owners. He also will not shed, so the Shichon is a great breed for people who have allergies! 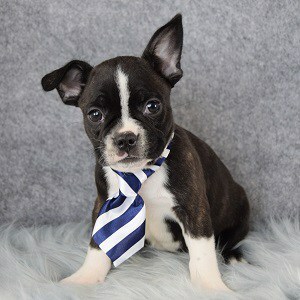 If you’re heart is beating a little faster for this guy like ours does, call or stop in today to make him yours! 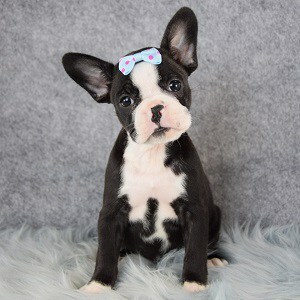 Now we have three new Frenchtons who can’t wait to become your next son or daughter! Not pet, because surely these pups are part human. At least that’s what they think! Chicken, Partridge and Swan all hope to follow in their brothers footsteps who have already found forever homes. These three are so silly and sweet, with the typical but never boring quirks and antics from their French Bulldog side that make us fall in love all over again, each time we are with them. The snorts, the cuddles, the somersaults and the yodels are giving us life right now and we can’t wait to share these three cuties with you! 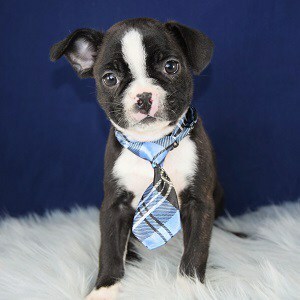 Frenchtons are a mix of Frenchie and Boston Terrier, so they make great companions, are wonderful with kids and are quite possibly one of the best mix breeds you could ever make a part of your family. Visit anytime, or reserve one of these cuties online today! 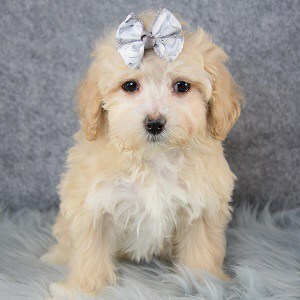 Last for this week we have a gorgeous female Maltipoo! Margo is a confident, leader of the pack during play time type of puppy, who is not shy about snuggling up for cuddle time! Being half Maltese, half Poodle, she is the absolute best of both worlds. Knows how to have a good romp during playtime, but isn’t ashamed to cuddle up with her humans! Maltipoos are a wonderful companion breed for people with allergies and they make great emotional support dogs. Margo can’t wait to bring all kinds of happiness to her forever family, so don’t make her wait long…give us a call today to have her reserved just for you! We can’t wait for these cuties to find amazing forever families who will give them all the love and awesome experiences they deserve! If you’re interested in any of our pups, feel free to stop in anytime, or give us a call for more information! We’re off for now, but will see you back here next week with more new puppies!